Analysts generally consider military influence in politics and society to be a critical impediment to the development of democratic political and civil rights and freedoms. According to Freedom House, for example, greater military involvement in government politics decreases civil liberties and political rights in any given country; this infringes on a government's ability to develop democracy. In 1826, Sultan Mahmud II broke the power of the sultan's guards, the Janissaries, enabling him to reform the military and begin Westernization of the empire. Turkey may be an exception. The military has deep roots in society, and its influence predates the founding of the republic. But rather than hinder democratization, Turkey's military remains an important component in the checks and balances that protect Turkish democracy. Herein lies an irony: European officials have made diminishment of military influence a key reform in Turkey's European Union accession process. This may be a noble goal, but by insisting on dismantling the military role in Turkish society without advancing a new mechanism to guarantee the constitution, well-meaning reformers may actually undercut the stability of Turkey as a democracy. From Turkey's founding, the military assumed responsibility for guaranteeing the republic's constitution. Article 35 of the Turkish Armed Service Internal Service Code of 1961 declared that the "duty of the armed forces is to protect and safeguard Turkish territory and the Turkish Republic as stipulated by the constitution." Indeed, such an interpretation had its roots in the constitution. Turkey's first constitution was written in 1921, and since the formal proclamation of the republic, the country has had three additional constitutions—in 1924, 1961, and 1982. Until the constitutional amendments of 2001, each placed responsibility in the military's hands for the protection of the Turkish state from both external and internal challenges. The constitution of 1982, for example, prohibited contestation or constitutional review of the laws or decrees passed by the military when the republic was under its rule from 1980 until 1983. This effectively provided the military with a legal exit guarantee following their coup in 1980. Specifically, article 15 stated, "No allegation of unconstitutionality can be made in respect of laws, law-amending ordinances and acts and decisions taken in accordance with the law numbered 2324 on the law on the constitutional order." The Turkish military has used this sense of constitutional authorization to justify interference in the political realm, on some occasions. It seized power in 1960 and 1980 when polarization and economic instability paralyzed the country's political system, and it also forced the resignation of governments in 1971 and 1997. While the Turkish constitution certainly does not endorse coups, Turkish popular distrust of politicians has generally led the public to support military action. This constitutional role began to unravel, however, in September 2001, when the Turkish parliament amended the constitution to ensure that the Constitutional Court (Anayasa Mahkemesi) review any decisions involving maintenance of freedoms and allegations of unconstitutionality. Therefore, the military may not act upon allegations of unconstitutional acts until there has been prior court review. Other structural factors augment the Turkish military's role. On July 23, 2003, the Grand National Assembly passed a reform package which called for a civilian to lead the powerful and historically military-led National Security Council (Milli Güvenlik Kurulu, MGK), a body which advises—but, more realistically, directs—the president in the formation of his security policies, policies which in Turkey traditionally span internal and external threats. On August 17, 2004, President Ahmet Necdet Sezer appointed former ambassador to the U.K., Mehmet Yiğit Alpogan, to head the MGK. Nevertheless, the military remains a force wielding more political power than it does in Western democracies. The commander of the Turkish General Staff, for example, answers directly to the prime minister and is not subordinate to the minister of defense, nor are the appointments to senior military posts subject to the affirmation of politicians. The augmented role of Turkey's military, both in politics and as a catalyst for reform, has deep historical roots. It is true to say that throughout much of Ottoman history, the military stymied reform. The Janissaries, the sultan's household troops and bodyguard, remained a force resistant to change into the early nineteenth century, but in 1826, Sultan Mahmud II (r. 1808-39) broke their power, enabling him first to reform the military and then to begin Westernization of the empire. Mahmud's reforms continued, with a few brief interruptions, throughout the remainder of the century. While there was general recognition in Ottoman domains that the Empire had to modernize, there was also public criticism that the sultan's reforms subordinated Ottoman tradition to European ways. The reforms of Mahmud II may not have won broad public support, but they did nevertheless sow the seeds of liberty in Ottoman society. With ideas of political and social liberty beginning to permeate the Ottoman world, a number of Ottoman nationalists and government bureaucrats formed a group in 1865 called the Young Ottomans, which sought to transform the sultanate into a constitutional republic with an elected parliament. The Young Ottomans used the printing press to disseminate works on liberty, justice, and freedom. They made halting progress. In 1877, for example, the Ottoman Empire had its first parliamentary election, but within months, Sultan Abdul Hamid II (r. 1876-1909) disbanded the parliament and shortly thereafter, in 1878, annulled the constitution itself. Assessing the failure, emeritus Princeton historian Bernard Lewis explains: "the reforming edicts had brought some changes in administrative procedures, but had done nothing to protect the subject against arbitrary rule." The only institution that could protect the populace against arbitrary rule was the military. 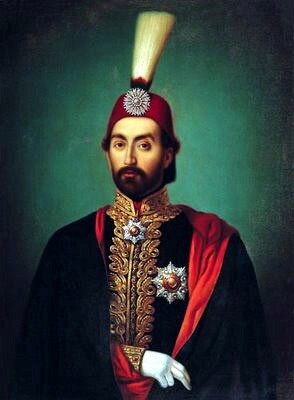 Although it had been able to overthrow successfully the power vested in the sultan at certain times—as when the Janissaries rose up against Sultan Selim III's (r. 1789-1807) military reforms in 1807—it required the support of the populace, something illustrated by the failure of an 1826 revolt. Conversely, the Young Ottomans, while generally supported by the populace, lacked the most crucial element to implement their ideas: the support of the military. As Ismail Kemal, a leader of the Albanian independence movement in 1912, stated, "By propaganda and publications alone a revolution cannot be made. It is therefore necessary to work to ensure the participation of the armed forces in the revolutionary movement." Recognizing the need to have the support of both the military and the people to facilitate a successful revolution, in 1906, a group of young military officers, including Mustafa Kemal, who would later take the single name Atatürk, created a revolutionary organization called Vatan ve Hürriyet (Fatherland and Freedom) to advance political revolution and reform in the Empire. They kept their group distinct from civilian groups such as unionists and liberals who feared a concentration of power in the central government. On July 23, 1908, Sultan Abdul Hamid acquiesced to the revolutionaries' demands and ushered in a new era of constitutionalism. However, the İttihat ve Terakki Cemiyeti (Committee of Union and Progress, CUP) was able to suppress the internal military mutiny and restore order within the ranks by sending an army to the capital to end the instability. By April 27, 1909, with the accession of Abdul Hamid's brother Mehmed V (r. 1909-1918) to the throne, the army effectively ensured that it would be involved in the establishment of a new constitution and would inevitably remain involved in politics for an extended period of time. However, the decision to return authority to civilian hands set a precedent for what would soon become the military-political symbiosis that distinguishes modern Turkey. In the wake of the Ottoman Empire's defeat in World War I, the Allied powers, including France and Great Britain, sought to divide Anatolia into zones of influence and to have Istanbul demilitarized under international control. From chaos and defeat, Atatürk rallied troops to take Istanbul, repel foreign forces, and crush rebellious factions. Empowered by military success and growing nationalist sentiment, Atatürk negotiated peace terms with the Allied powers and declared Turkey's independence. On October 13, 1923, the new parliament declared Ankara the capital and, shortly after, the Grand National Assembly elected Atatürk president. The military founded the Turkish Republic with the support of the people. The main reason for its success and the establishment of a new government was Atatürk's pragmatic approach as he checked his own power with moderate decision making. Kemalism evolved to become a measured approach, combining nationalism, populism, étatisme, laicism, and reformism. The Constitution of 1921 reinforced social, economic, and judicial equality; support for state-owned industries; recognition of a secular political life; and the idea that reform was necessary for the state to remain relevant to the populace's needs. Atatürk formalized a separation of the military from politics. Article 148 of the Military Penal Code prohibited serving military officers from political party membership or activities and declared that the military would be neutral in its support of the political system. Simultaneously, however, the article empowered the military to act as "the vanguard of revolution" with the right to "intervene in the political sphere if the survival of the state would otherwise be left in grave jeopardy." Article 34 of the Army Internal Service Law of 1935 stipulated that the military was constitutionally obligated to protect and defend the Turkish homeland and the republic, a clause interpreted by generations of Turkish officials to allow military leaders to intercede whenever the internal politics of Turkey destabilize the republic. Atatürk did not foresee military involvement in day-to-day politics, and he certainly did not tolerate military interference with his agenda. Rather, having arisen from the military, he used it as a power base from which to enforce his reforms. Under Atatürk's successor, İsmet İnönü, the question over the military's future role in politics gained greater significance. The first question to arise was the role of the chief of staff who, under Atatürk, reported directly to the prime minister rather than the minister of defense. Given Turkey's strong premiership, this made the military a more independent power base, one not subordinate to a civilian defense minister. İnönü chose to continue this modus operandi. After a successful election in July 1946, İnönü and the Republican People's Party (Cumhuriyet Halk Partisi, CHP) won majority support although the Democrat Party (Demokrat Parti, DP) established itself as a serious minority party. The Democrats dominated the May 1950 elections, winning 470 seats to the CHP's 69. İnönü stepped down, and power passed to Prime Minister Adnan Menderes and President Celal Bayar. They relaxed restrictions on Islam's role in society, encouraged private enterprise in order to hasten economic development, and implemented social welfare programs. After winning a huge majority in the May 1954 elections, Menderes introduced more authoritarian legislation, restricting freedom of the press and limiting freedom of assembly. By 1959, disgruntled opposition members boycotted the Grand National Assembly and threatened to take their protests to the streets. The Turkish political scene had grown volatile. In April 1960, amidst student protests and unrest between the government and the opposition parties, the military launched a coup to restore political and social order, installing a Committee on National Unity led by General Cemal Gürsel. On May 27, they arrested Bayar, Menderes, other members of the Democratic Party cabinet, deputies, and officials. Prime Minister Menderes and two members of his cabinet were executed after the coup. The following year, the Committee of National Unity created a larger constituent assembly, rewrote the constitution, and submitted it to popular referendum. After sponsoring elections, the military returned power to civilian control in November 1961. The Grand National Assembly appointed Gürsel president, but he first resigned from the military. While historians and diplomats may condemn the coup, the Turkish experience stands in sharp juxtaposition to that in Egypt, Iraq, and Syria where the military seized control and refused to relinquish power. Even neighboring Greece had to wait seven years to restore civilian control. Turkish society, however, remained unstable through much of the 1960s as the debate about Turkey's place in the Cold War and the spread of socialism grew more polarized. While the socialists could not consolidate control, they were still able to undermine the ability of coalition governments to operate. Between 1965 and 1969, the reactionary leftist groups grew strong alongside the nationalist right. This led to an increasingly virulent left-right struggle, which often manifested itself in violent clashes. Trade Unions, which ironically gained the right to strike only in the 1961 constitution, increasingly took to the streets. The balance-of-payments deficit worsened, inflation increased, and in 1970, the government devalued the currency. In early 1971, civil violence rose sharply. There were student clashes with the police, kidnappings, murders, and bombings of government buildings. In the military's opinion, the situation had become untenable. The deteriorating situation and Prime Minister Süleyman Demirel's inability to maintain order convinced the military to intervene again in order to recalibrate and stabilize political life. On March 12, 1971, the Turkish military sent a memorandum to President Cevdet Sunay and Prime Minister Demirel insisting on the need to appoint a new government to calm society and to resolve continued economic problems. In the two years that followed, debate over the future of the republic raged among the political parties and between civil and military institutions. The successor government to Demirel's collapsed after Prime Minister Nihat Erim was unable to bridge the differences between his government, the Justice Party (Adalet Partisi), and the Republican Peoples Party. After the March 1973 parliamentary elections, the political parties elected retired Admiral Fahri Korutürk as president on April 6. After the precedents of Gürsel and Sunay, the rise of a retired military official to the presidency seemed natural; after all, the military was seen as above politics and, in the Turkish system, the president is traditionally a consensus figure who can rise above political party antics. Nevertheless, the legacy of the 1971 intervention is mixed. While the military did force the government to reshuffle, its goal of establishing a "powerful and credible government" did not succeed, given that four weak coalition governments rose and fell in the thirty-one months following the memorandum. Turkey remained unstable. High inflation, cuts in public expenditures, and labor disputes led to protests and strikes. Meanwhile, there were general malaise and rising political turmoil between Bülent Ecevit's ruling CHP and its Islamist rival, Necmettin Erbakan's National Salvation Party (Milli Selamet Partisi). Between 1971 and 1980, there were eleven successive governments. Most were too greatly sidetracked by their efforts to contain rivalry within their coalition to tackle social unrest, extremism, and an economic crisis exacerbated by the 1973 oil embargo. With this increase in unrest and the political situation untenable, the military again decided to "invoke the power granted to them by the Internal Service Code to protect and look after the Turkish Republic." On September 12, 1980, the military carried out a nonviolent coup, arresting 138,000 people, of whom 42,000 received judicial sentences. Restrictive laws clamped down on political demonstrations and strikes. Unlike the 1971 coup, in which the military only took a guiding role in reestablishing the political system, in 1980, it used a heavy hand to restore order. Up to the 1983 elections, primary power rested in the military leadership and was channeled through the National Security Council under General Kenan Evren. The military dominated most aspects of society, taking strict control of universities, dismissing or transferring academics, depoliticizing the public service system, and dissolving existing political parties. In essence, the military enforced martial law to ensure public safety. The military, once again, issued a new constitution. In 1983, Turgut Özal and the Motherland Party (Anavatan Partisi, ANAP) assumed power with Evren serving as president. While many academics and Western diplomats view military interventions in black and white terms as always antithetical to democracy, throughout these formative years of Turkish democracy, this was not the case. Nilüfer Göle, director of studies at the école des Hautes études in the Centre d'Analyse et d'Intervention Sociologiques in Paris, writes, "the military interventions of 1960-1961, 1970-1973, and 1980-1983 can be perceived as state reactions against the 'unhealthy' autonomization and differentiation of economic, political and cultural groups." The military simply sought the continuance of the Kemalist ideology, which had broad popular support and was the template upon which the constitution allowed various political parties to act. Following the coup of 1980, the military stayed out of politics and, indeed, under Özal, who served as prime minister from 1983-89 and president from 1989-93, lost some of its political autonomy, even as it remained free from civilian control. Only when Prime Minister Tansu Çiller began to lose control during an economic and social crisis in 1994 (during which inflation reached 100 percent) did the military again begin to involve itself actively in politics. In 1996, after winning just 21 percent of the vote the previous year, Erbakan became prime minister as the leader of a coalition between Çiller's True Path Party (Doğru Yol Partisi, DYP) and his own newly-formed Welfare Party (Refah Partisi, RP). He was an ardent Islamist, but while he was disliked by the military, the Turkish General Staff did not seek to prevent his accession, both because the Turkish military does not intervene as lightly as some of its detractors suggest and because, holding 158 of 550 seats in parliament, his party could not rule without its Kemalist coalition partners. Almost immediately, however, the Erbakan government began to support a strong pro-religious platform and a reorientation of foreign policy as Erbakan visited Iran and Libya. In February 1997, the National Security Council reported that the foundations of Turkey's political structure were being undermined by the government's pro-Islamist policies. Amidst growing disaffection among the populace due to the government's religious policies, the military forced Erbakan's resignation and, within months, the Constitutional Court banned the Refah, but not before Refah officials had formed new parties to which they transferred most of their party's assets. Recai Kutan assumed command of the spin-off Fazilet Partisi (Virtue Party) and mollified Refah's hard-line position. It was nevertheless banned in 1998 after the Constitutional Court found that the party's Islamist platform breached the 1982 constitution. Supporters of the Virtue Party led by Recep Tayyip Erdoğan in turn formed the Justice and Development Party (Adalet ve Kalkınma Partisi, AKP) in July 2001. Erdoğan, a former mayor of Istanbul, was a controversial figure in Turkey. In 1998, a Diyarbakir court convicted him of inciting religious hatred after he read an Islamist poem at a political rally, and even after the party swept to victory in the November 2002 elections, he remained prohibited from holding office, a ban overturned the following February. The AKP's rise had less to do with its Islamist agenda than with public disgust over corruption scandals among the more traditional parties amidst the November 2000 banking and February 2001 currency crises. On a single day on February 22, 2001, the Turkish lira lost one-third of its value. Erdoğan is a skilled politician. He moderated both his and his party's image to ensure that the AKP would not meet the fate of Refah or Fazilet. As public confidence in Ecevit and his coalition partners waned, Erdoğan sought to appeal to a constituency beyond the AKP's Islamist base. A July 2000 poll conducted by the Ankara Social Research Center found that 30.8 percent of those surveyed would vote for Erdoğan's party. And so it came to be. In 2002, the AKP gained power with 34 percent of the vote. Because five other parties fell just short of the ten percent threshold necessary to enter parliament, this propelled the AKP's grip on parliament to a clear majority with 363 seats in the Grand National Assembly, the largest majority in Turkey's multiparty era. The CHP, Turkey's oldest political party but one which had not been represented in the 1999 parliament, won 19 percent. A clear reflection of the popular dismay with the previous government, the Motherland Party received just over five percent of the vote. The AKP hewed a moderate foreign policy line when it assumed office. Unlike Erbakan, Erdoğan embraced the European Union accession process. For the AKP, this was a brilliant tactical move. By blurring—rather than sharply defining—the line between pro-Western orientation and Islamism, Erdoğan provided his party with plausible deniability about its goals; it could be all things to all people. In Central Anatolia, its deputies could preach Islamism while party officials convinced Turkish businessmen in Western-oriented cities such as Istanbul, Ankara, and Izmir that it was committed to orienting Turkey closer toward Europe. Simultaneously, the 1999 Copenhagen Criteria, which outlined the reforms necessary to join the European Union, would weaken military influence within the Turkish state. Not only would a civilian lead the National Security Council, but the body would meet only six times a year, cutting by half the opportunities it had to micromanage policy. As important, European Union reforms placed military expenditures under the scrutiny of the Court of Accounts, a body similar to the U.S. General Accounting Office. Turkey's military is divided about whether European Union accession is a reflection of traditionalist Kemalist views. Perhaps two-thirds of the Turkish public supported Ankara's bid to join the European Union upon announcement of the Copenhagen Criteria. General Hüseyin Kivrikoğlu, chief of the Turkish General Staff at the time, said that "joining the EU was a geopolitical necessity," whereas a retired general commented that "EU membership was against Turkey's history and contradicted the Kemalist revolution." As Copenhagen Criteria reforms weakened the power of the military in internal Turkish affairs, Erdoğan has advanced an Islamist agenda which has altered Turkish society. The most prominent example of the AKP's Islamism has been its argument that Turkish women should have a legal right to wear veils in schools and public institutions, a policy traditional Kemalists and the military consider a symbolic affront to the Turkish government's secularism. Here, ironically, Erdoğan has clashed with European officials. After the European Court of Human Rights backed the ban on head scarves in public schools, the prime minister complained, "It is wrong that those who have no connection to this field [of religion] make such a decision … without consulting Islamic scholars." However, the AKP's attempts to roll back the separation between mosque and state involve more than the head scarf. In May 2006, the Erdoğan-appointed chief negotiator for European Union accession talks ordered state officials to cease defining Turkey's educational system as secular. Indeed, Erdoğan moved to equate Imam Hatip religious school degrees with those of public high schools, thereby enabling Islamist students to enter the university and qualify for government jobs without serious study of basic Western principles. When university presidents complained about growing AKP political interference and Islamist influence in their institutions, Erdoğan ordered the police to detain the most outspoken university rector on corruption charges that later proved baseless. Distrust of the AKP and its agenda solidified after a gunman, reportedly upset with a ruling against the veil law, stormed the Council of State, equivalent to the Supreme Court, and opened fire shouting, "I am a soldier of God," killing one justice. Erdoğan declined to attend the dead man's funeral. Both the President and Yaşar Büyükanıt, chief of the Turkish General Staff, have warned publicly of growing threats to secularism. On April 12, 2006, Sezer said, "Religious fundamentalism has reached alarming proportions. Turkey's only guarantee against this threat is its secular order." The following day, Büyükanıt warned military cadets of growing Islamic fundamentalism and said that "every measure will be taken against it." The military was, however, powerless to intervene, at least compared to 1960, 1971, 1980, and 1997. On April 27, 2007, Büyükanıt held a press conference to stress that the military wanted the next president of Turkey to uphold the original principles of the republic. Traditionally, the Grand National Assembly and major political parties agreed on a nominee for president, as the position, unlike in the United States, was meant to be above politics and held by a consensus figure. Erdoğan, however, had a majority in parliament to choose the president without consulting political rivals and simply announced that his candidate would be Abdullah Gül, the foreign minister in the AKP government. Hours later, the Turkish General Staff posted a statement on its website declaring, "Some circles who have been carrying out endless efforts to disturb fundamental values of the republic of Turkey, especially secularism, have escalated their efforts recently," warning that the "fundamentalist understanding [of the government] was eroding the very foundation of the Turkish Republic and the ideas that it was founded upon." Rather than step aside with relative grace as had Erbakan, the AKP issued a rebuttal, reminding the military that in "democracies," the military does not intervene in the political process. Islamists and many diplomats branded the military's statement as an "Internet coup," casting the military as aggressors, rather than defenders of a constitutional order violated by Erdoğan. After a constitutional battle over procedures, the AKP-dominated Grand National Assembly selected Gül as president, further consolidating the party's power and effectively eliminating any future presidential vetoes over concerns about the constitutionalism of AKP legislation. Since winning a second term and consolidating control with 46.7 percent of the vote, Erdoğan has gone on the offensive. After surviving a judicial challenge which could have resulted in the disbandment of the AKP on questionable constitutional grounds, the AKP pushed forward with prosecutions on an alleged nationalist and Kemalist plot to cause chaos in order to provide an excuse for military intervention. AKP-led prosecutors and security forces have detained hundreds of journalists, retired military officers, political rivals, and academics. While, at its root, physical evidence exists to suggest some malfeasance on the part of radical Kemalists, there is little evidence to suggest a widespread plot. The AKP, therefore, faces growing criticism that it is using the case as an excuse to intimidate or silence anyone who opposes its agenda. The importance of the so-called Ergenekon prosecutions, though, is to show just how little influence and control the military has over Turkish society. Simultaneously, should the Ergenekon prosecutions represent an internal putsch by Erdoğan against his and the AKP's opponents, the episode shows how unbalanced Turkish democracy can become when the military can no longer effectively act as a force for constitutionalism and reform. Turkey remains a strategic asset to the West. Its military is the second largest in NATO, and it is the preeminent Western security force in what is considered by many Westerners to be the most volatile region in the world. With Turkey at the doorstep of the European Union, it is ever closer to realizing its movement to the West. Ironically, it may not be able to take this final step without recognition of the domestic role of its military. Since the days of the Ottoman Empire and throughout the history of the Turkish Republic, the military has been the one institution that has repeatedly checked civilian autocratic tendencies, maintained moderation, and ensured the preservation of the state. While Western officials may view repeated coups as antithetical to democracy, the military has always returned power to the civilian sector. Indeed, the elements that complain loudest about military involvement tend to be those least committed to constitutionalism and least tolerant toward political opponents. Moreover, the military has, since the late nineteenth century, maintained the push towards modernization while continuing the tradition of the Ottoman and republican Turkish societies. Though the external environment has changed dramatically, the military has remained an anchor for society. The EU accession process has driven reforms that have weakened the military's internal role. While many democracy experts and leaders of EU member states argue that the military should not have a role in internal politics, Turkey is different. The Turkish political system is dynamic and permits a wider range of political views and philosophies to compete on the political stage than many other European states. The system has not always worked well, however; on several occasions, such as that leading to the 1960 coup, politicians consolidating disproportionate control have appeared ready to cast aside the foundational principles of Turkish democracy. In other instances, such as 1971 and 1980, parliamentary fractiousness has impeded coalition formation or effective government. Ordinary democratic processes were unable to resolve the political stalemate. When the Turkish military intervened, it did so to restore democratic stability, not supplant it. From 1923 to the present day, the military has proven its commitment to democracy and constitutionalism and, indeed, only invokes its role as a constitutional check and balance as a last resort. In essence, the military has acted as a guide to usher Kemalist principles into full realization. This is not to say that the military should continue to have a dominant role in perpetuity. However, failure to recognize the military's unique and traditional role as the protector of the public from any political party's undemocratic consolidation of power and as the defender of the constitution is dangerous because it creates the possibility that the checks and balances of Turkish society might collapse without creation of a new system of supervision. As Turkey and its people move into the future, the military should move as well. Just as Atatürk modernized Turkey and initiated its drive toward the West, European officials should consider the military a reformist force without which Ankara's movement further to the West might not occur. David Capezza is a consultant for the Center for New American Security in Washington, DC. Freedom in the World, 2007 (New York: Freedom House, 2007), pp. 986-7. Tim Jacoby, Social Power and the Turkish State (New York: Frank Cass, 2004), p. 133. Levent Gönenc, "The 2001 Amendments to the 1982 Constitution of Turkey," Ankara Law Review, Summer 2004, p. 93. Serap Yazici, "A Guide to Turkish Public Law and Legal Research: 10.2, The Constitutional Amendments of 2001 and 2004," GlobaLex, Hauser Global Law School Program, Jan. 2009. Serap Yazici, "A Guide to the Turkish Public Law Order and Legal Research: The Constitutional Amendments of 2001 and 2004," GlobaLex, Hauser Global Law School Program, Sept. 2006. Sabah (Istanbul), Aug. 18, 2004. Bernard Lewis, The Emergence of Modern Turkey (New York: Oxford University Press, 2002), p. 78. William Hale, Turkish Politics and the Role of the Military (New York: Routledge, 1994), p. 16. Quoted in Lewis, The Emergence of Modern Turkey, p. 202. Alexander L. Macfie, The End of the Ottoman Empire, 1908-1923 (New York: Longman's, 1998), pp. 41-56. Metin Tamkoc, The Warrior Diplomats: Guardians of the National Security and Modernization of Turkey (Salt Lake City: University of Utah Press, 1976), pp. 10-9. Roderic H. Davidson, Turkey: A Short History (Huntingdon, U.K.: Eothen Press, 1998), pp. 121-7. Tamkoc, The Warrior Diplomats, p. 28. Donald Everett Webster, The Turkey of Ataturk: Social Process in the Turkish Reformation (Philadelphia: The American Academy of Political and Social Science, 1939), pp. 162-72. Hale, Turkish Politics and the Role of the Military, pp. 72, 80. Walter Weiker, The Turkish Revolution, 1960-1961 (Washington, D.C.: The Brookings Institution, 1963), pp. 6-11. Davidson, Turkey: A Short History, pp. 148-54. David Shankland, The Turkish Republic at Seventy-Five Years (Huntingdon, U.K.: Eothen Press, 1999), p. 94. Hale, Turkish Politics and the Role of the Military, pp. 175-9. Ibid., pp. 216-7; Davidson, Turkey: A Short History, p. 171. General Kenan Evren, quoted in Hale, Turkish Politics and the Role of the Military, p. 246. Erik Cornell, Turkey in the 21st Century (Richmond, U.K.: Curzon Press, 2001), pp. 36-7. Davidson, Turkey: A Short History, p. 172. Nilüfer Göle, "Toward an Autonomization of Politics and Civil Society in Turkey," in Metin Heper and Ahmet Evin, eds, Politics in the Third Turkish Republic (Boulder: Westview Press, 1994), pp. 213-22, quoted in Sylvia Kedourie, Seventy-Five Years of the Turkish Republic (London: Frank Cass Publishers, 2000), p. 141. Kedourie, Seventy-Five Years of the Turkish Republic, p. 139. Feroz Ahmad, Turkey: The Quest for Identity (Oxford: One World Publishers, 2003), pp. 168-70. Cornell, Turkey in the 21st Century, pp. 45-9. Thomas Carroll, "Turkey Shuts down the Islamists … Again," Middle East Intelligence Bulletin, July 2001. Turkish Daily News (Ankara), Sept. 28, 1998. Soner Cagaptay, "Turkey Goes to the Polls: A Post-Mortem," Policywatch, no. 675, Washington Institute for Near East Policy, Washington, D.C., Nov. 7, 2002. "Economic Survey of Turkey, 2002," Organisation for Economic Co-operation and Development, Paris, Oct. 2002. Umit Cizre, Secular and Islamist Politics in Turkey (New York: Routledge Press, 2007), pp. 201-3. Soner Cagaptay, "European Union Reforms Diminish the Role of the Turkish Military: Ankara Knocking at Brussels Door," The Washington Institute for Near East Policy, Washington, D.C., Aug. 12, 2003, p. 214. Ahmad, Turkey: The Quest for Identity, pp. 175-6. Turkish Daily News, Nov. 15, 2005. Turkish Daily News, June 1, 2006. Turkish Daily News, Oct. 24, 2005. Turkish Daily News, July 14, 2006. Turkish Daily News, Oct. 3, 2006. BBC News, Apr. 27, 2007. Michael Rubin, "Erdogan, Ergenekon, and the Struggle for Turkey," Mideast Monitor, Aug. 8, 2008. "Foreign Affairs, Sixth Report: The Military," the Committee on Foreign Affairs, British House of Commons, Apr. 23, 2002. Related Topics: Middle East politics, Turkey and Turks | Summer 2009 MEQ receive the latest by email: subscribe to the free mef mailing list This text may be reposted or forwarded so long as it is presented as an integral whole with complete and accurate information provided about its author, date, place of publication, and original URL.